The Daily Facts: Google doodle-"Bible of Crciket"
Have you noticed the Google's doodle today? Its honoring the John Wisden. Today is John Wisden's 187th birthday and that’s the reason behind Google’s doodle to appear in red and yellow. John Wisden is the one who written the 'Bible of Cricket' and honored the the Cricket. 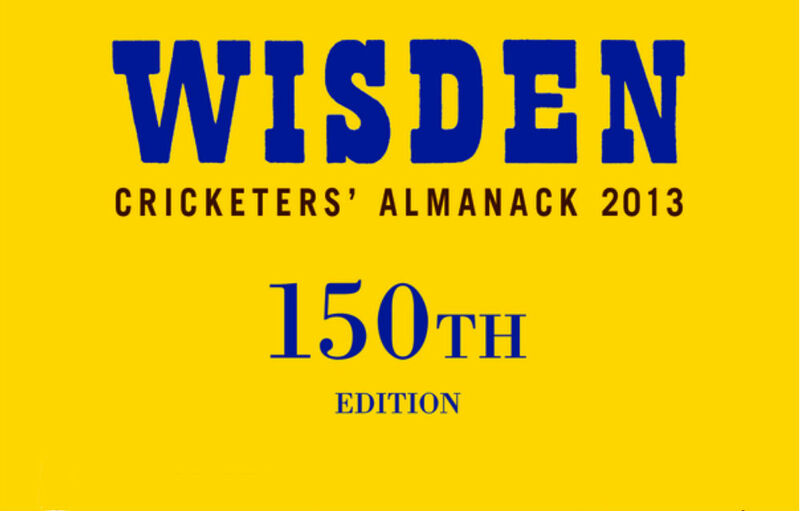 The 'Bible of Cricket' is also known as 'Wisden Cricketers' 'Almanack'. Its a great news for Cricket fans because many of us had no knowledge about the 'Bible of Cricket'. 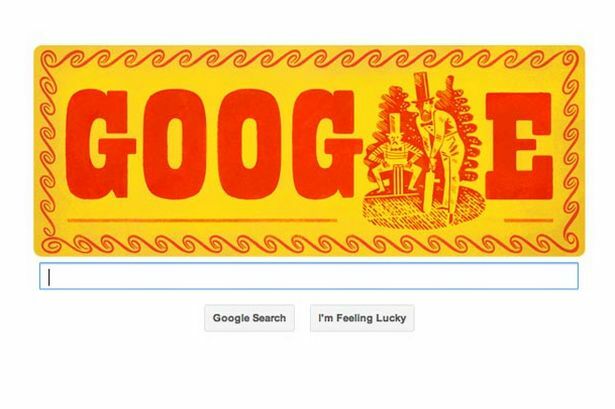 Today Google marks the day with its doodle to grab the attention of Google users to notice John Wisden. John Wisden is a former English cricketer born on 5th of September 1826 in Brighton. He is one of the best all rounder of that time and he was nicknamed as the 'The Little Wonder'. He wrote the 'BIBLE OF CRICKET' after his retirement from his first class cricket. The book was first published in the year 1864 with 112 pages which gives detailed info of the 1863 cricket season. Every year its edition is been published. The great thing is that, even the two world war has not interrupted its honor of being published every year. It is considered to be the great event in the Cricket and other games to be marked. In 1939, ‘Bible of Cricket’ is marked with the yellow cover along with the woodcut of two Victorian gentleman playing cricket. From 2003, the cover honor a player of the year and this year England Cricketer ‘Kevin Peterson’ is honored in the cover. 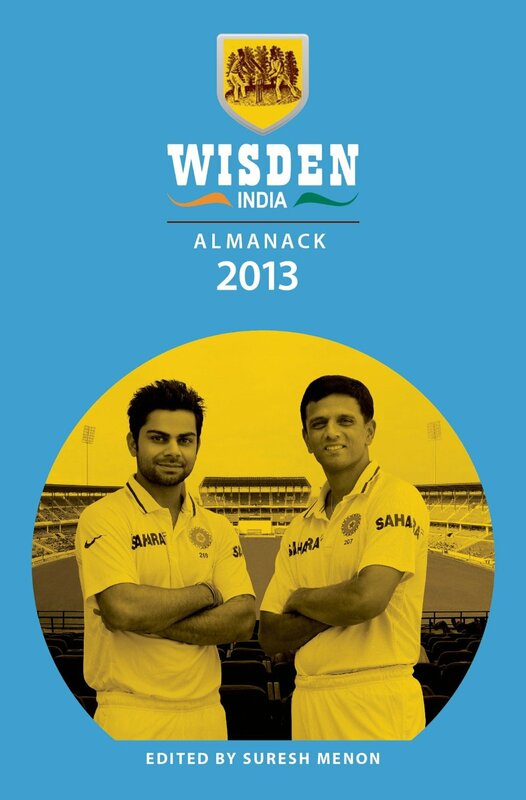 In this year edition of India Dravid and Kohli is been honored. From 1889, the players were honored with the Almanack’s Cricketers of the Year award. Its considered to be the highly prized award which a player can attain once in his career. Many legends were honored by this award from the 19th century. From the former players like W G Grace and Jack Hobbs till the current century legends such as England ‘Alastiar Cook’ and the Indian great legend ‘SachinTendulkar’ who is going to attain his 200test milestone has been honored by this award. England former captain Alec Steward has also been honored by this award. After being honored by this highly prized award, Alec Steward said that, ”It was an honour to be named one of the Wisden Cricketers of the Year in 1993 because you feel like you are being recognized by one of the game’s great institutions”. Fuller Pilch said that, Wisden is the greatest batsman and finest all-rounder he has ever seen until the appearance of W G Grace. In an Innings that happened in 1850, he took ten wickets in an innings and it made him to get world recognition. This187th birthday also mark his number of first class matches(187). He played for Kent, Middlesex and Sussex during his career. Here there is a thing to be noticed that, the upcoming Englandtour of Indiaby 2014. In this tour, India is going to face Middlesex in its tour matches. Unfortunately in 1884, at his age of 57 he died due to cancer. He had seen 20 edition of Almanack. The edition of this year is 150th edition of the “Bible of Cricket” with 1600 pages. His gift is worth for the cricket industry and it marked his presence forever in the Cricket world.